The Minnick Memorial was placed in the cemetery in March of 2014 and recognizes Minnick family members who have passed but are not buried in the Minnick Family Cemetery. It is a granite memorial with a stone base. 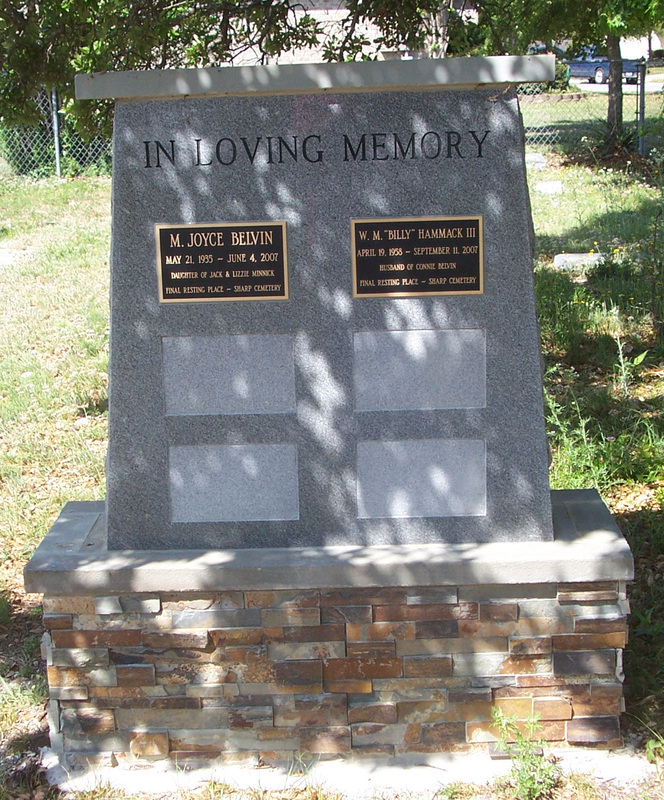 Each side (front and back) of the memorial has space for six memorial plaques to be placed.The memorial plaques are brass colored lettering on a black background and include the decedent's name, dates of birth and death, relationship to the Minnick family and their final resting place. Memorial plaques must be obtained through the Minnick Family Cemetery Association to maintain continuity of design and material. For information about placing a plaque on the Minnick Memorial, please use the MFCA contact page to send an inquiry. 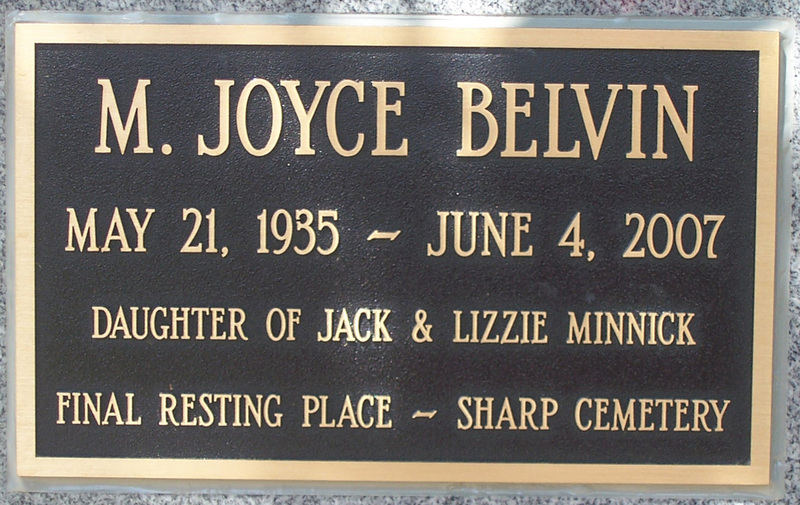 Mildred Joyce Belvin was the daughter of Jack and Lizzie Minnick and the great-granddaughter of Rev. John L. Minnick. 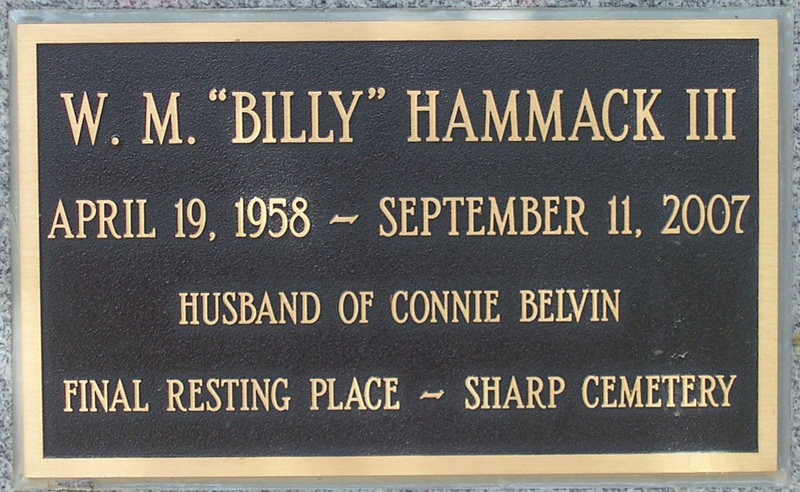 William Monroe "Billy" Hammack was the husband of Connie Belvin, who is the daughter of Joyce Belvin. Connie is the great-great-granddaughter of Rev. John L. Minnick.